Originally a hit for Chuck Berry in 1956, Roll Over Beethoven was sung by George Harrison on The Beatles' second album. The Beatles were huge fans of Berry's music; between 1957 and 1966 they covered more songs written by him than by any other writer. If they want things like Sally and Beethoven, we can do that standing on our ears. The vast majority of The Beatles' Chuck Berry covers were sung by Lennon. Indeed, he sang Roll Over Beethoven until 1961, when George Harrison took over on lead. It remained in the group's set until the end of their US tour in September 1964. It became one of three vocal spots for Harrison on With The Beatles, the others being Devil In Her Heart and his own Don't Bother Me. 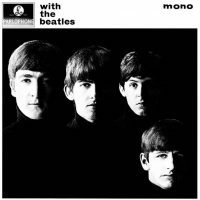 I sang Roll Over Beethoven for With The Beatles – it was a song I liked. I had the Chuck Berry record and I used to sing it in the clubs. Roll Over Beethoven opened the second side of With The Beatles, the group's second UK LP, which was released on 22 November 1963. In America it opened The Beatles' Second Album, released on 10 April 1964. Today, Roll Over Beethoven is something of a curiosity; for many young listeners, the music of Berry and The Beatles is as far removed in time as the great classical composers. At its time of writing, however, the song neatly summarised the 'us and them' attitude of teenagers towards their parents' music. Roll Over Beethoven was recorded in five takes on 30 July 1963, after which The Beatles added overdubs and the final guitar chord, which was edited in on 21 August. The Beatles also recorded Roll Over Beethoven seven times for BBC radio. The first was on 24 June 1963 at the Playhouse Theatre, London, and was first broadcast five days later on the Saturday Club programme. The final radio version, recorded on 28 February 1964 and first broadcast on 30 March on From Us To You, was released on 1994's Live At The BBC. A live performance, from The Beatles' 24 October 1963 show at the Karlaplansstudion in Stockholm, Sweden, was included on Anthology 1 in 1995. I love the fact that the very first concert the Beatles gave in the U.S. (Washington Coliseum) starts off with George rocking this song. You would think that they would start off with one of their big hits sung by Paul or John but they gave it to George. Love it. The lyrics are just off a bit in a couple of places, and understandable if your ear isn’t use to American dialects, particularly those of the South. It’s not “Just jump around and reel and rock it”, it’s “Move on up just a trifle further, and reel and rock with one another”, instead of “Hey, little little”, it’s “Hey diddle diddle”, the well known line from the nursery rhyme about the cat with a fiddle. Thanks. I’ve a feeling I copied+pasted the words from a lyrics site, and didn’t check them too closely. Where I’ve included lyrics (on cover versions only) I tended to include what The Beatles sang instead of what the original recording contained, so these might be different from what Chuck Berry sang (I haven’t checked). But any corrections are always welcome. can anyone explaine the lyrics Winks like a glow worm, are you sure that is right. uderstand George hated singing this song later on in life, but this is one reason i held on to my Beatles 2nd LP. it is my fav of all the Beatle LPs i used to own bar none. sorry Chuck but i like this version best. A glow worm is a firefly. Does that help? I’ve been working my way thru the BBC2 collection, and this performance is incendiary and probably very indicative of the impact the Fabs had on live audiences. The rhythm section is on fire throughout…and the stripped-down nature of the BBC stuff provides a rawness often missing from the studio recordings, revealing, once again, what a great live unit these guys were. Yeah and the Hollywood Bowl verizon rocks out, too. I’ve often wondered why George always sings “dig TO these rhythm and blues” – I think he does so on every version of his that I’ve heard. Presaging his later passion for gardening, maybe! The first thirty seconds or so of this song makes a kickass ringtone for your phone.. it definitely gets your attention. “I think I got arthritius sitting down by the rythm reviews”, not ‘caught’ either, as you don’t ‘catch’ arhtritus. “Try for further” not ‘trifle’ as mentioned above.. your inching up on this woman to get as close as you can, trying as your a clumsy teenager. Like ” Rock n Roll Music” another great rendition of a Chuck Berry song by the Beatles. Great lead guitar and vocal by George Harrison. A highlight of”With the Beatles”. Shouldn’t John and paul be credited as vocal harmonies toward the end of the song? Not on the “With The Beatles” version.